Black horror fingernail finger tips. 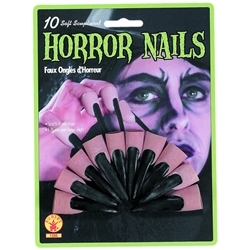 Set includes 10 finger tips with attached black nails. Great for witches and monsters.